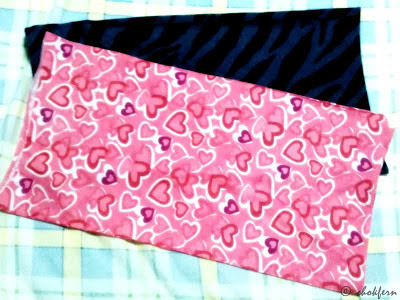 Was cleaning up my wardrobe and dig up my ‘Buffs‘ (got one original Buff® from Taka and one from the then-known-as Gmarket). 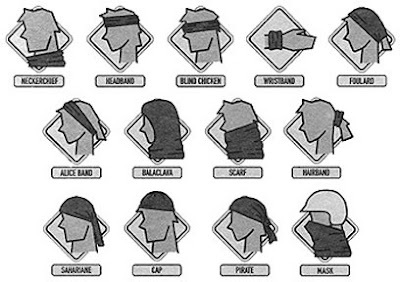 Why do I need to get this multifunctional headwear when I wasn’t a motorbike rider or outdoor person? I find it very meaningful and hesitate for years before I finally pick up my courage to join the event… I like to show my support through action instead of just through monetary support, luckily I was working in an digital agency then thus the people are more open and I do not need to gone through “counselling session” to drop the thoughts. Just now was analysing on the Facebook profile picture with G and I show him my profile picture… then guess what? I realised my profile picture looks like the comics character of one of my favourite Blog Artist – Wan wan (彎彎)!! Happen that this two are align just near each other on my Facebook so I took a screen capture of it. Happy over this coincident (ok ok, I admit, actually anyone who get bald will looks like her character :P) !! I think that's awesome you participated in such a wonderful event. Hi J3ss1ca, thanks! I am glad to be part of the event so I can understand better and show more empathy to those who are different from us.